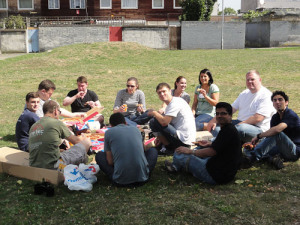 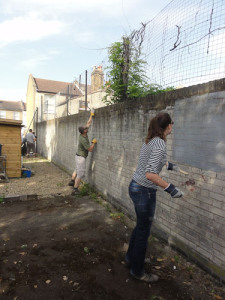 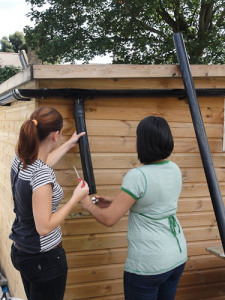 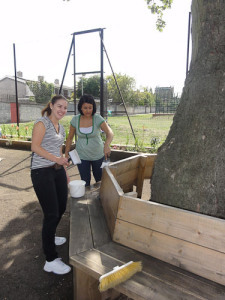 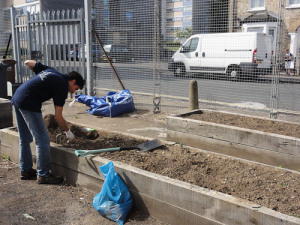 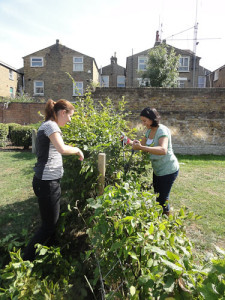 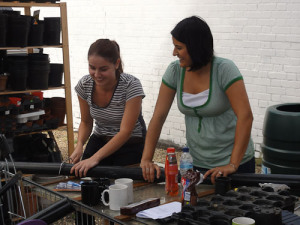 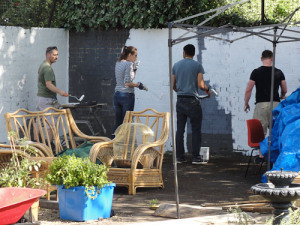 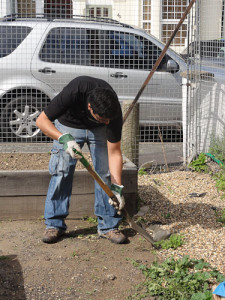 On Wednesday 21st August 2013, thirteen volunteers from Ernst & Young spent a day at Brayards Estate in Peckham helping out. 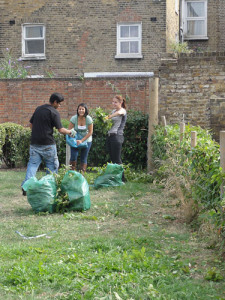 The day was supervised by Embrace staff & was organized by charity CSV. 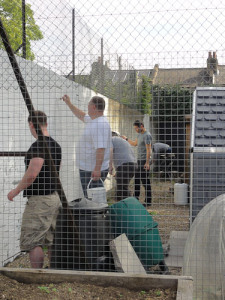 The volunteers did a great job. 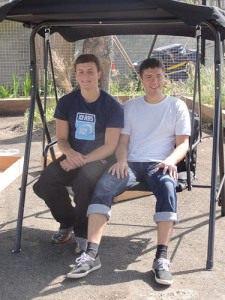 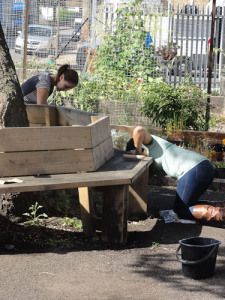 They scrubbed the seating area and varnished it, fitted the benches and shelves to the greenhouse. 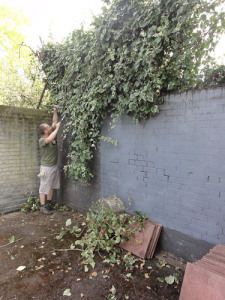 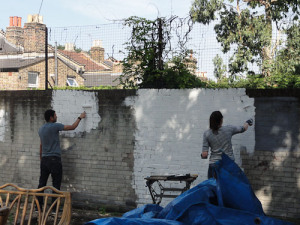 Painted the entire community garden wall white after brushing it down, and chopped down the ivy bush that was hanging down the wall. 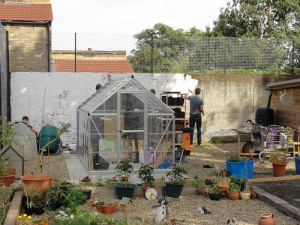 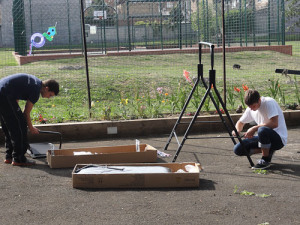 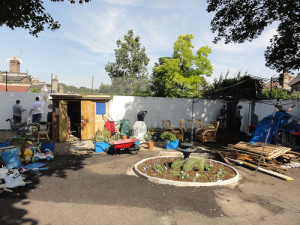 The whole area has opened up with its painted white wall plus with the removal of wood and sheds to a another part of the garden.They set up a garden swing seat and the allotment area was weeded, swept clean, all rubbish removed and beds were dug over. 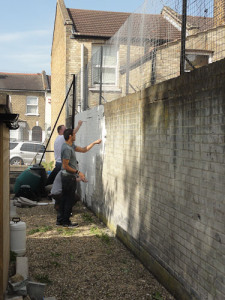 They also painted part of the metal railings around the estate and even pruned the wildlife hedge.